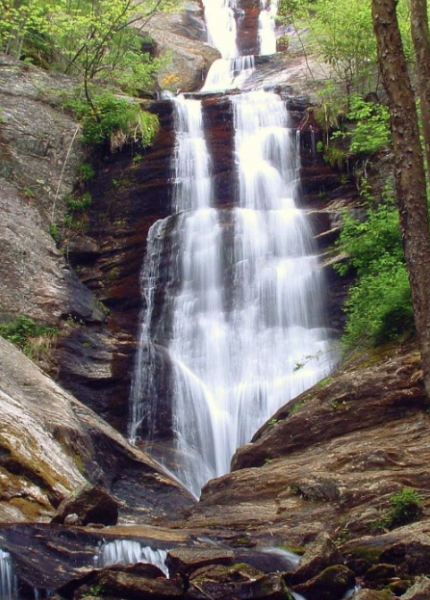 The 60-foot falls are located on Toms Creek. The creek flows over several cascading upper sections of bedrock into a near-vertical lower cascade, ending in a small scoop in the rocks. A wide, flat pool area is at the base, located in a gully that has large amounts of mica embedded in the rock.